When I hear the word” Craft Rooms” I get giddy. Do you? 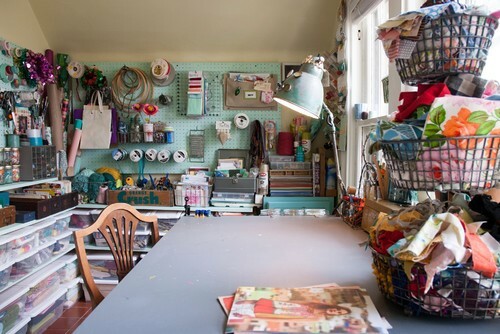 Today we are talking Lovely Craft Rooms. Lets go.. 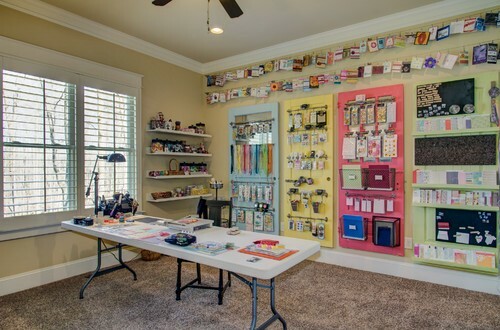 Your craft room is a sanctuary for all your creative needs. 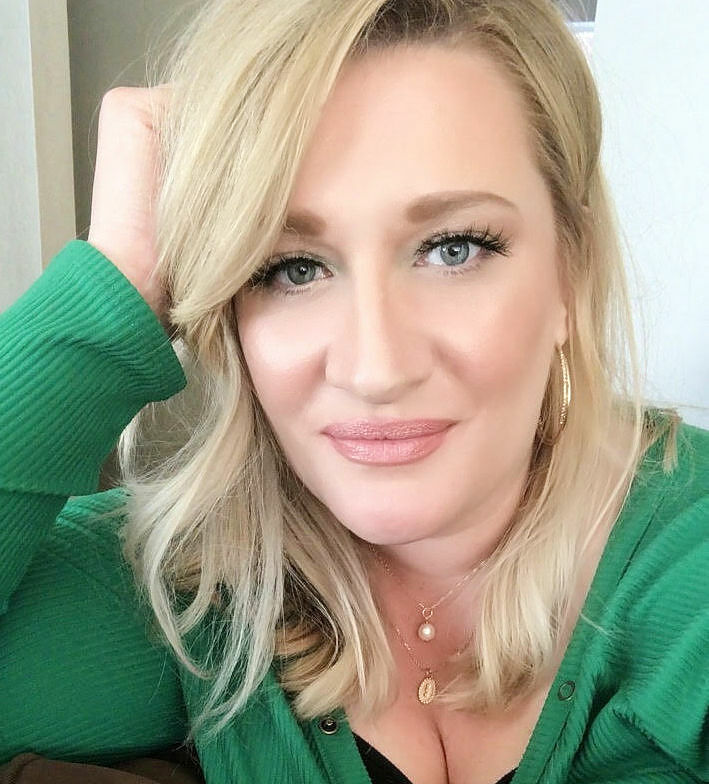 Whether you’re making a practical new bookshelf out of wooden palettes or making mason jar gifts, the ultimate craft room will be a well organized and relaxing place to work. Three essential parts to a great workroom are great lighting, a surface with plenty of space to work on, and lots of storage space. 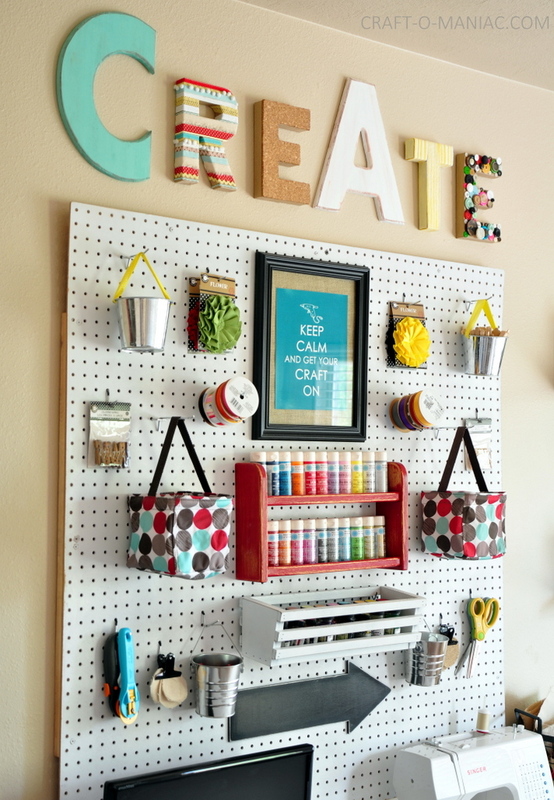 Because a craft room can very easily look cluttered and messy, try finding cute and creative ways to store materials in a decorative way instead of adding things that take up space. 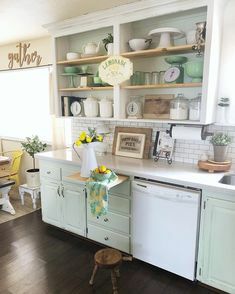 For the very visual craftsman, a subtle way to add decor would be to put inspiration in a place that is out of the way enough as to not look cluttered. Perhaps you might put up a few pieces of projects to remind yourself of the beautiful creations you’ve made. It’s also a great way to store projects while waiting for them to sell in your Etsy shop. Organization is key to finding what you need and quick. There are few things more frustrating than knowing that you have something that would look perfect on your project and then having to upturn everything in the room to find it. Try color coordinated stackable bins for smaller things like buttons or glue guns. Using hooks for things on spools such as ribbon of fabric can be very effective. 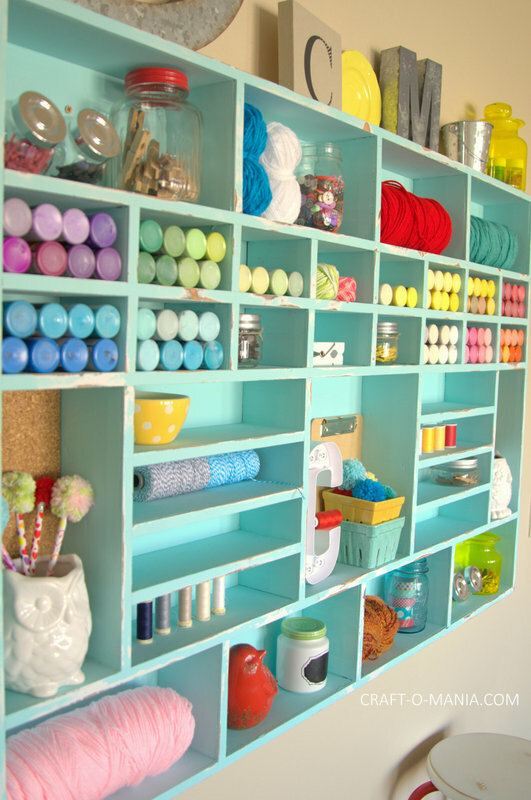 If your craft room includes a bare wall that isn’t covered in ribbon spools or cabinets, utilize it for an inspiration board. Print out your favorite pins from Pinterest and so you can see them all at once. 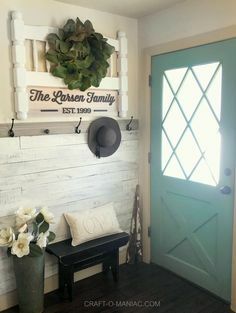 It’s a way to make the space truly your own with photos of the kids along with instructions for your latest DIY. Cork board are efficient and inexpensive. They can also easily be covered with fabric to match the room if you choose. 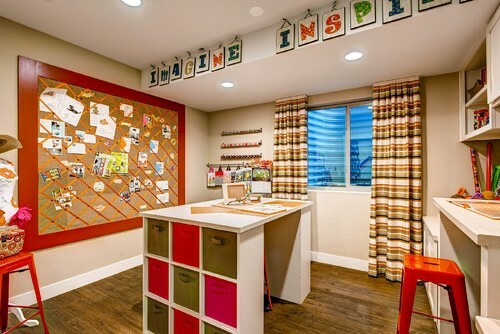 Just think of how cute a quilted inspiration board could be. After a long day of creating, sometimes you just want to sit back and relax to admire your work. Have a comfy seat in your craft room be it for yourself or for visitors. Another great thing in the example above is that desk. It’s deep enough that reams of paper or fabric can fit in nicely. They can even be organized by season or color that way with some simple labels. 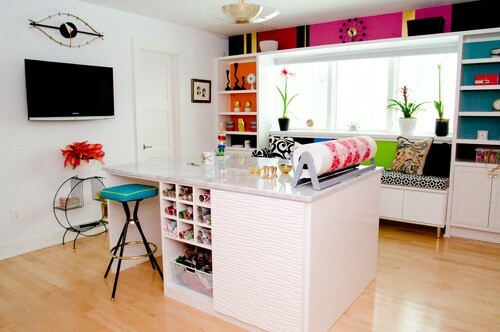 For more design ideas, tip and tricks, head to Modernize.com. Thanks for stopping by today, I hope these creative organized spaces have inspired you for your own crafty spaces.